Syria Peace & Justice are currently seeking to raise £1200 to sponsor the production of a children’s magazine. The content of the magazine will be written and edited entirely by Syrian refugee children living in the Bekaa Valley of Lebanon and aims to give an outlet to their creativity and provide a source of entertainment. Our aim is to reach the target amount by 1st January 2015. 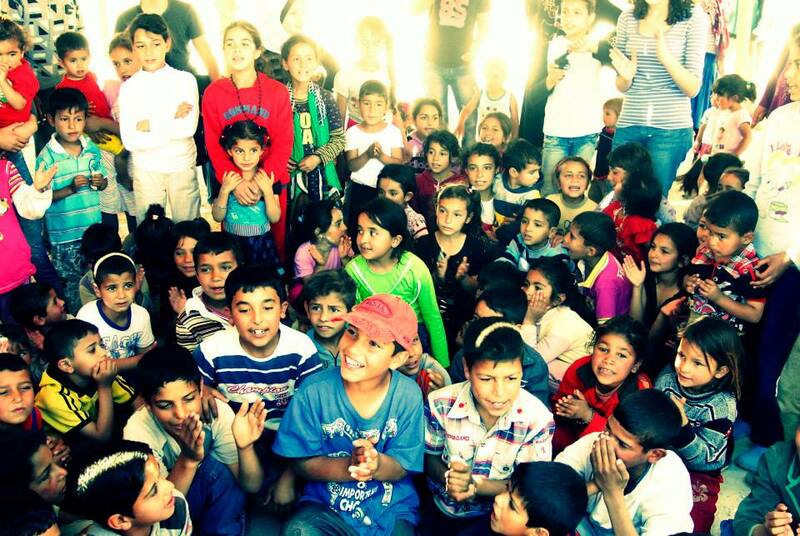 This project is being conducted in co-operation with the group Syrian Eyes: a grassroots group made up of mostly young non-paid Syrian refugees based in the Beqaa valley in Lebanon who formed in October 2013 with the aim of identifying and providing for the needs of Syrian refugee families in Lebanon and is entirely volunteer run. Since that time they have also assisted the UNHCR by helping to deliver aid packages to many different refugee camps. You can donate to the Children’s Magazine Project by clicking on the link above. We will provide updates on our goal to reach the donations target by Jan 1st 2015. We will also provide information on the Refugee Children’s Magazine Project when it is underway via the website. If you have any questions, please do not hesitate to contact us by email. Thank you for your kind and generous support for our Syrian Eyes appeal to support Syrian refugees in Lebanon. Although our original appeal was for a children’s magazine project, we were recently advised by our colleague on the ground in Lebanon that Syrian Eyes’ most pressing requirement was for its emergency winter assistance fund. To this end, Syria Peace & Justice and Sail 4 Syria have agreed together that the funds raised to date and any new donations should, until further notice, go towards the winter appeal, and we have asked that children’s assistance be prioritised. Thanks to your generous support, we have now managed to send £1080 to Syrian Eyes for this purpose. We will provide an update on precisely how your donations are being used once we get an update from the field. In the meantime, do please keep your donations coming in. The need for food, warm clothing, blankets and other essentials to help see our Syrian brothers and sisters in Lebanon through the cold, harsh winter is greater than ever. As for the children’s magazine project, it is our hope and desire that we will be in a position to relaunch this appeal at a later date, once the most urgent needs of our brothers and sisters are being met.